Stop wasting time scouring court websites or reaching out to authorities for the most up-to-date Certificate of Absolute Divorce or Annulment. See how LEAP helps attorneys save time and make more money. 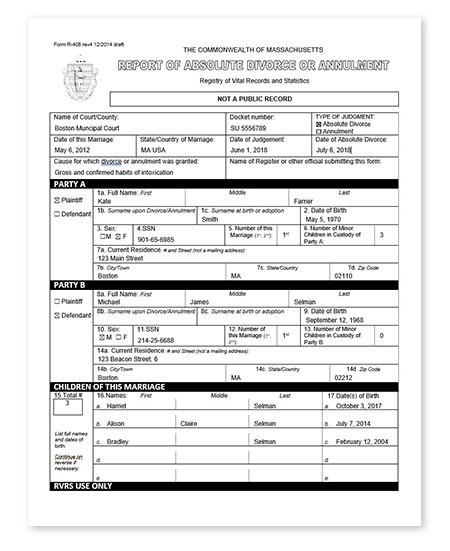 The Certificate of Absolute Divorce or Annulment is a form filed with the Registry of Vital Records and Statistics once a divorce has been finalized, and is used by the Massachusetts government for statistical purposes.